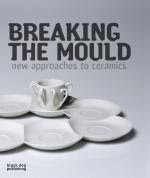 I’ve just spent a lazy but inspiring saturday afternoon curled up with my brand new book that I’ve been wanting to get my hands on for ages - Breaking the Mould: New approaches to Ceramics. It was worth the wait. 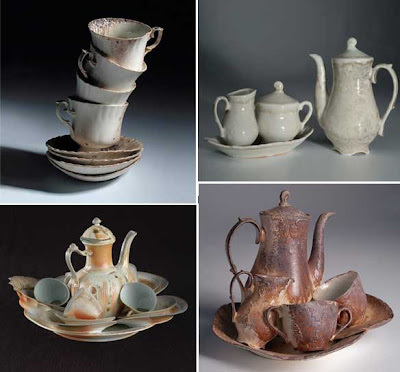 It profiles over 60 contemporary ceramic artists, includes essays by Natasha Daintry, Rob Barnard and Clare Twomey, and has a stupendously good web directory in the back of most of the artists included. A damn good resource. Hours of fun. For all the family. 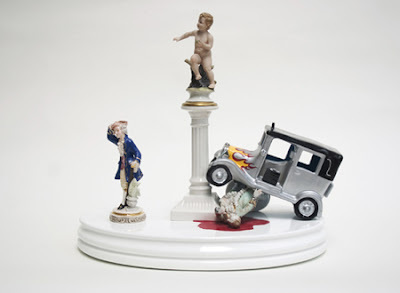 And some great work I hadn’t come across before – check these out: Isobel Egan, Damian O’Sullivan, Wai-Lian Scannell/SOOP and Kjell Rylander . Lots of food for thought. I’m lost to ceramic la-la land for the rest of the day I think. Hi Bibbi. You're most welcome! A lot to sift through! Loved your five meter bowls! Mel, where did you buy the book,locally or online? It looks really interesting and I need stimulating diversion.Blog on! I bought mine locally from Coaldrakes bookstore, but if you go to the link in my post for the preview of the book it also lists a few places you can buy it online. Good luck! Reckon you'll love it! you know you popped into my head yesterday too!! oooh spooky!! i'll go check it out now!